Metal. 4 1/2” at base. 7” at widest point. 6” high. Removeable kid. Previous owner deceased. No other info on previous owners. Thank you for submitting you item for appraisal. 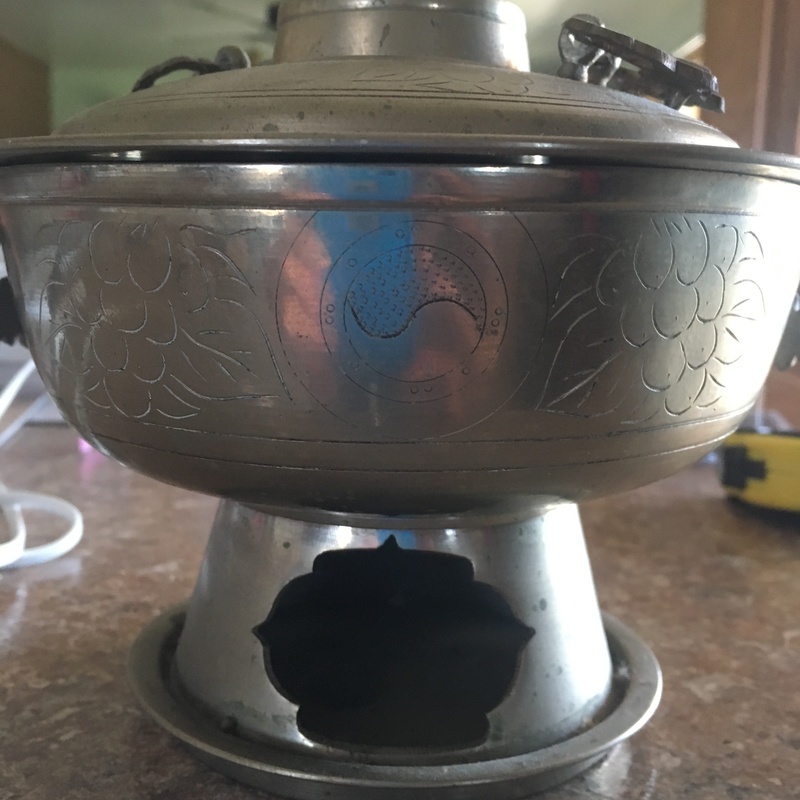 This appears to be a chinese huoguo or hot pot, used to prepare food with simmering soup right at the table. Interesting is the incised dedication. It seems a general Chung Il-kwon 정일권; ( Hanja: 丁一權) gave it to a member of the american military during the korean war. These hotpots are very common, but the dedication makes it special. The estimate is based on similar offered or sold at auction. "Asking prices" in the trade can be higher an vary.